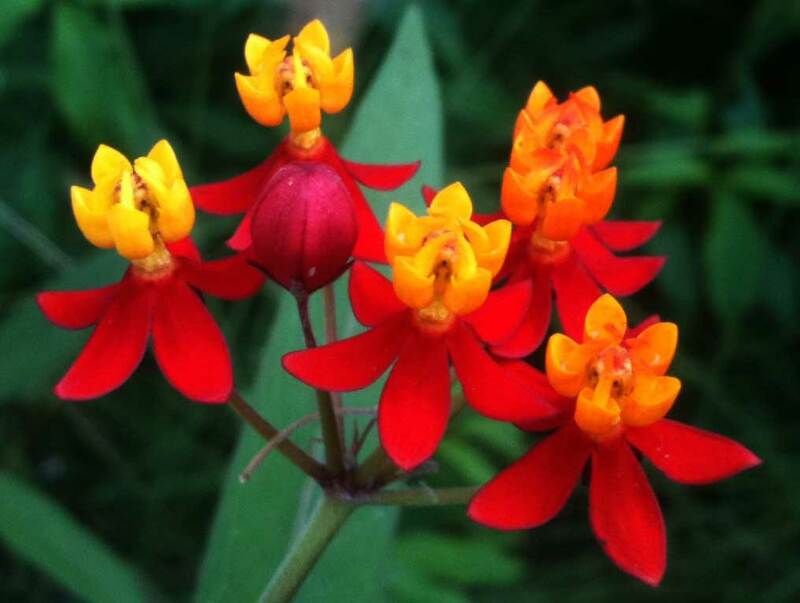 Here I am offering seeds from Asclepias curassavica, also known as bloodflower, hierba de la cucaracha, redhead, scarlet milkweed, cotton bush, Mexican butterfly weed, Swallow wort, and wild ipecacuanha. 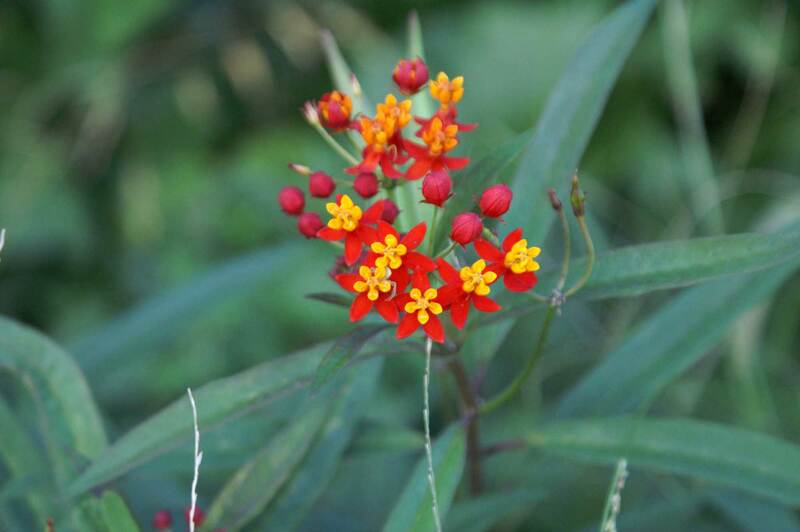 Asclepias curassavica likes to grow in full sun and prefers a soil that is on the drier side. 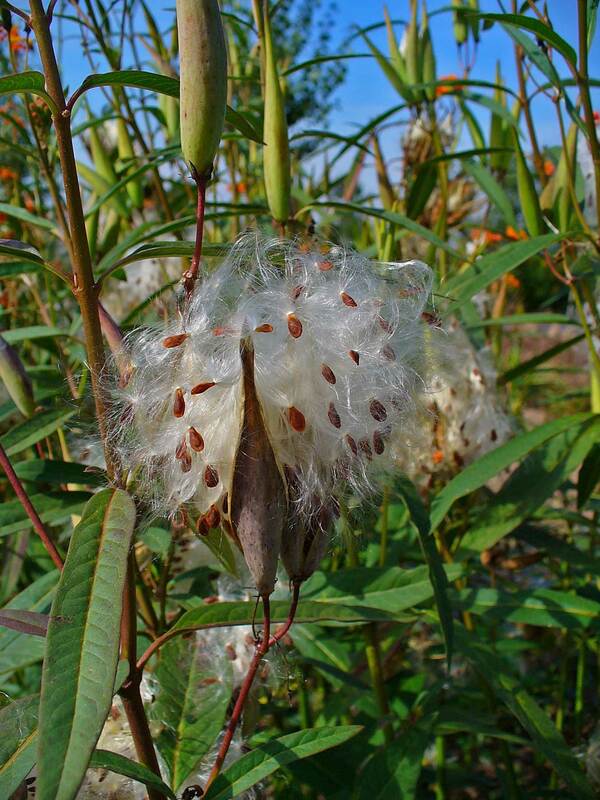 The birds, bees, and butterflies have a great time on this plant. It really causes quite a lot of attention. 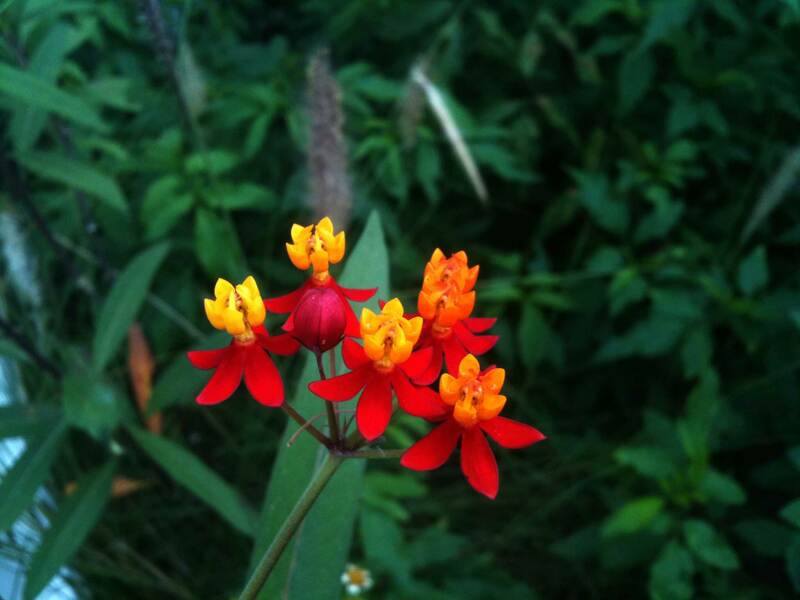 Asclepias curassavica is adored by the hummingbirds and they can not seem to get enough of this one. 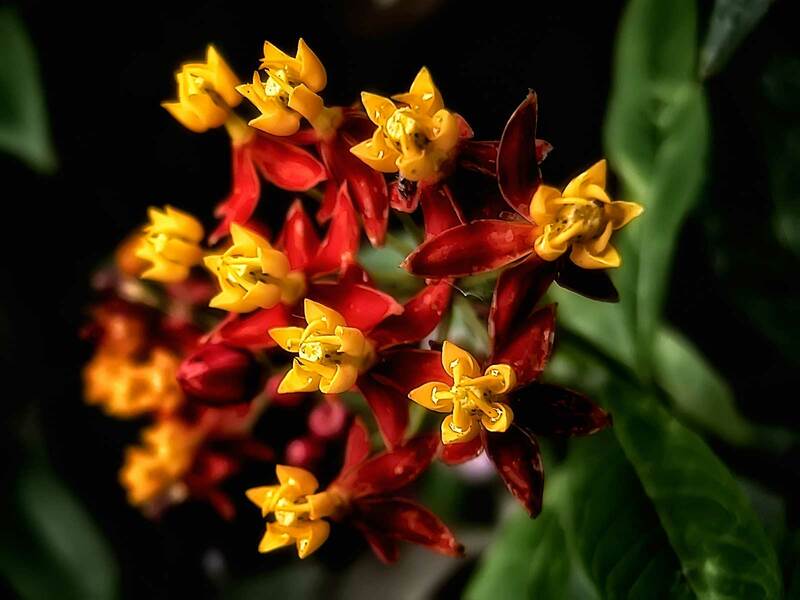 Many people grow Bloodflower because it is a favorite with the Tigers, Milkweeds, Monarchs, and Queens butterflies. 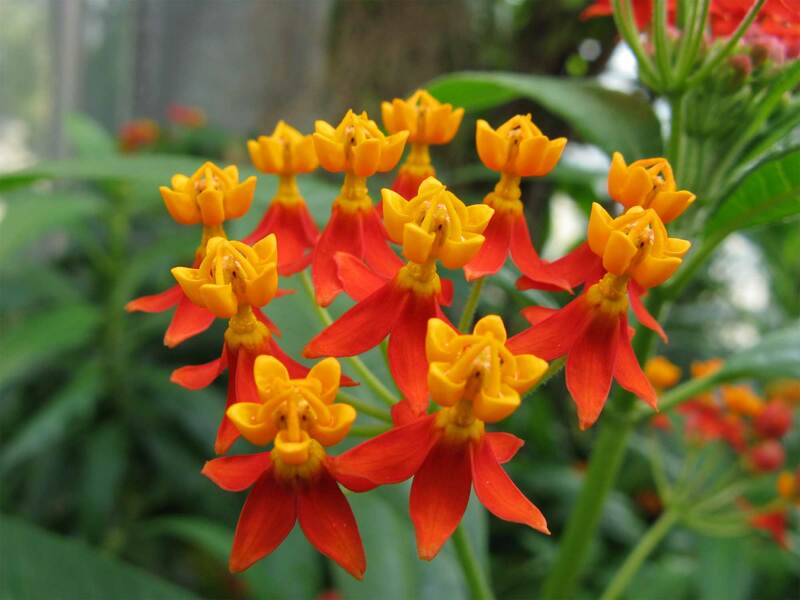 Asclepias curassavica is a larval host plant for many butterflies in the Danaus Genus and others. Some documented butterflies that use Bloodflower as a larval host and as a nectar plant are the Monarch, African Monarch, Southern Monarch, Jamaican Monarch, Queen, Soldier, and Giant Swallowtail butterflies. 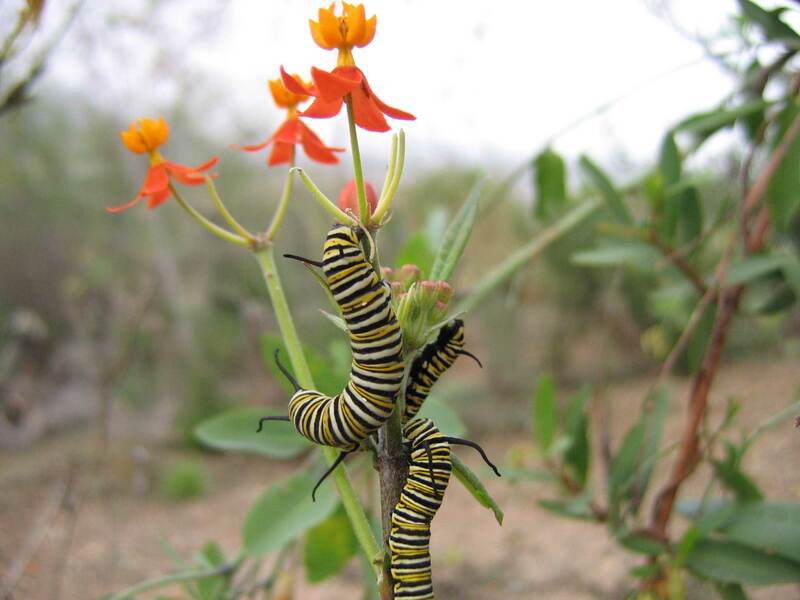 Graduate student Dara Satterfield is making an educated guess that better availability of Asclepias curassavica in conjunction with warmer winters, may have an unhealthy impact on Monarch butterflies and their migration. The science to back up this idea will not be complete for a couple years, but just to be safe I cut mine to the ground for the Winter because if there is a problem this will solve it, and if there is not a problem then the plant will grow back next season.